Sprint’s QChat rollout has been fairly successful thus far, but the initial lineup was a bit, well, bland. And rightfully so, as they were trying to reach a market of mostly bland users who cared more about how their phone took a beating rather than if it could watch TV. 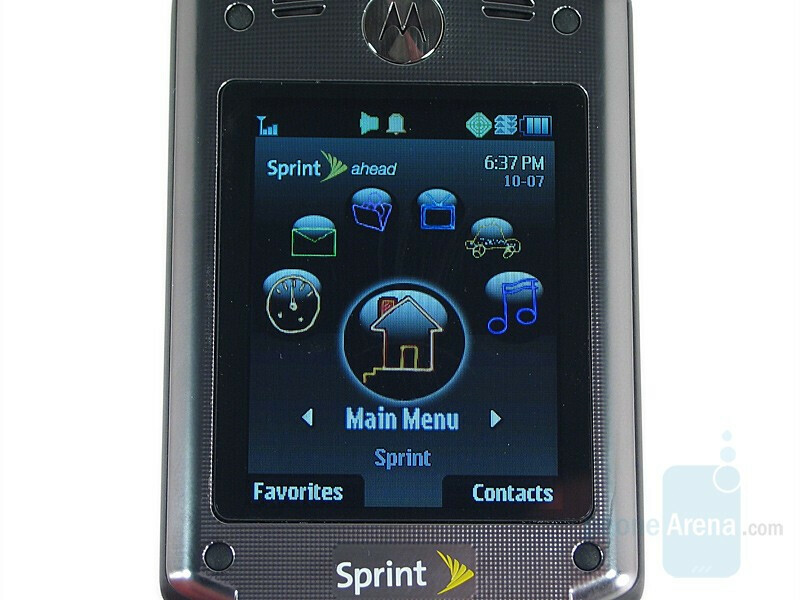 But every lineup needs a headliner, and the Motorola Renegade is here to take that position. Cousin of the iDEN i880 and Hybrid ic902, the Renegade v950 is a high end phone that can both withstand a fall and tune into the latest episode of The Office. Passing military specs for dust, shock, vibration and blowing rain the Renegade also features EVDO Rev. A and all the multimedia goodies that go with it. 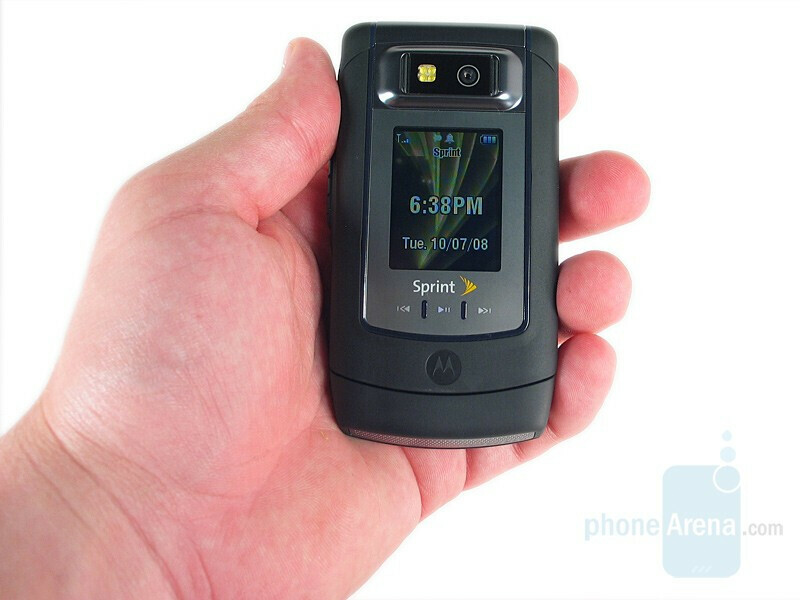 In the box you’ll simply find a Li-ion battery, AC adapter and a 256MB microSD card. 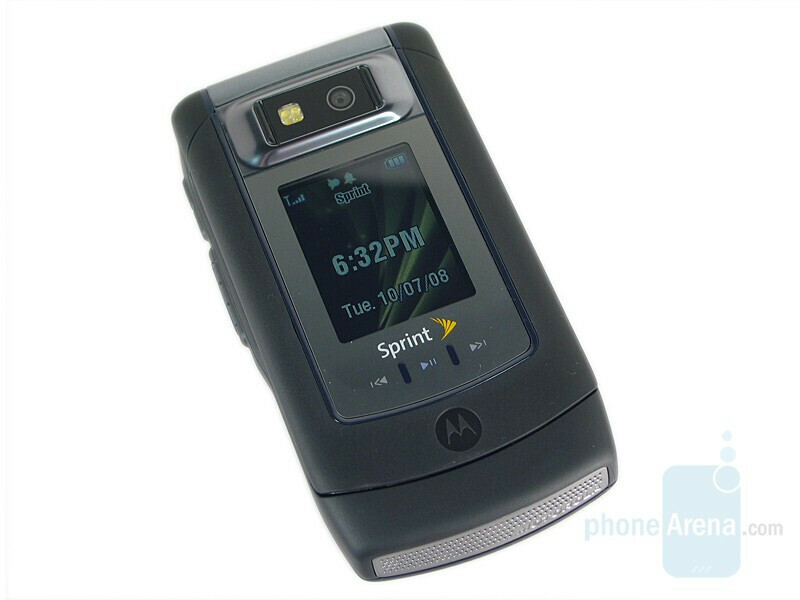 We’ll be blunt, the Renegade is a rugged RAZR. 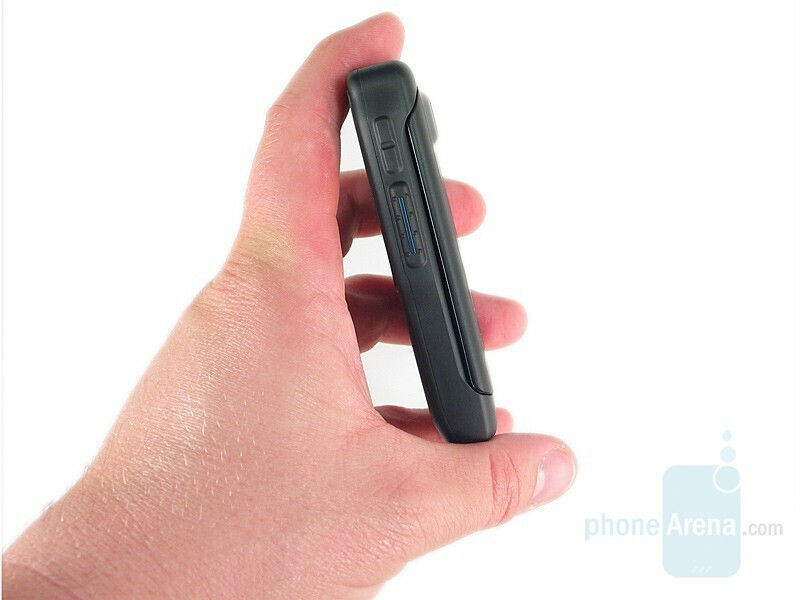 It features the same basic design: thin profile (relatively,) ugly chin hump, camera atop the external display and battery at the top on the back blocking the microSD slot. It’s an old and tired design, but we have to admit that we like this rugged variant more than any others in the past. You can compare the Motorola Renegade V950 with many other phones using our Size Visualization Tool. 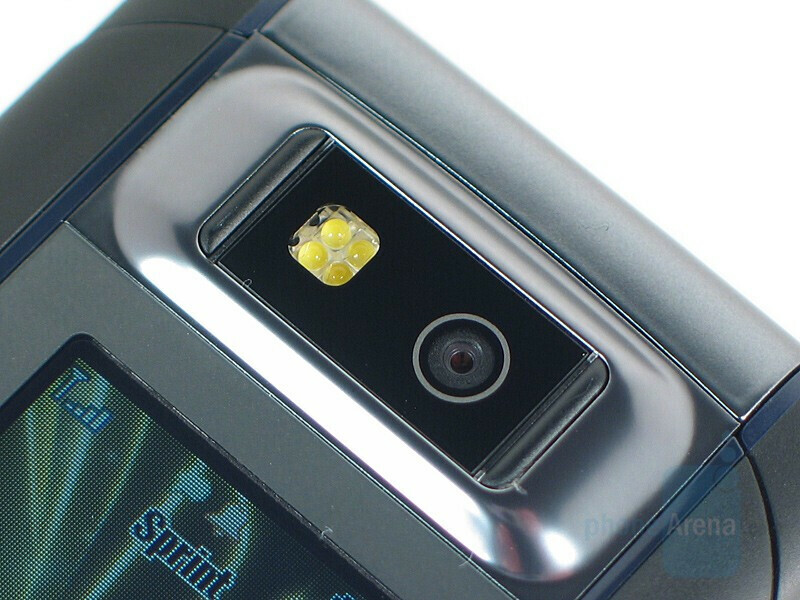 The outer display is a generous 120x160 pixels, and sits below a 2 megapixel camera and LED flash. Below it are flush but mechanical media control keys, and it is all set in a gray inlay. The main body of the phone is black and covered in soft touch paint, making for a very reassuring rubbery feel. 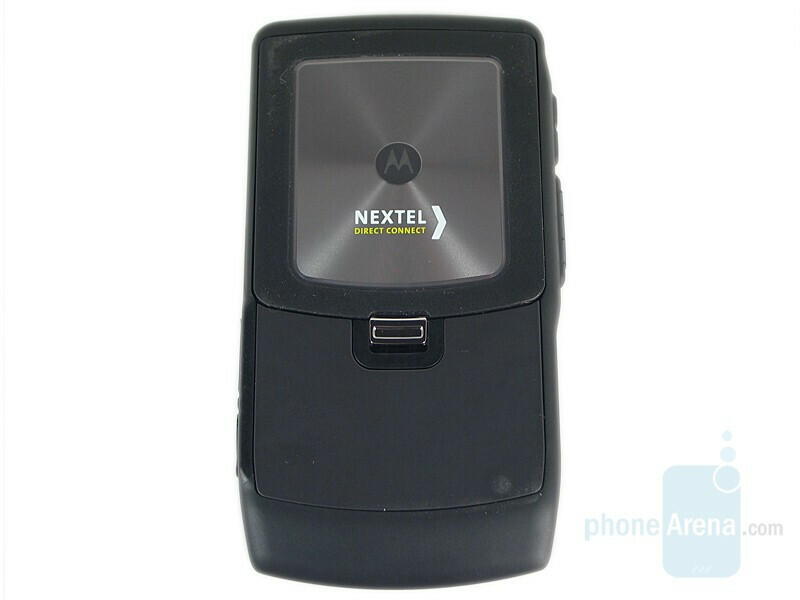 The battery door has a dull silver insert with the Motorola and Nextel logos. 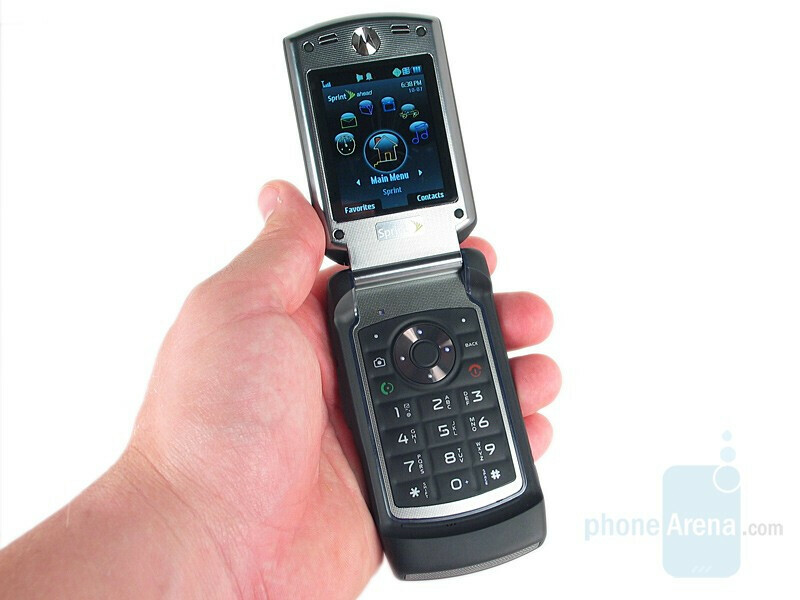 Opening the flip presents a 2.2” 262K color QVGA display. We’ve been impressed with Motorola’s displays lately, and the Renegade is no different. It is large, crisp and colors are vibrant. We had no problems reading it even in the brightest sunlight. 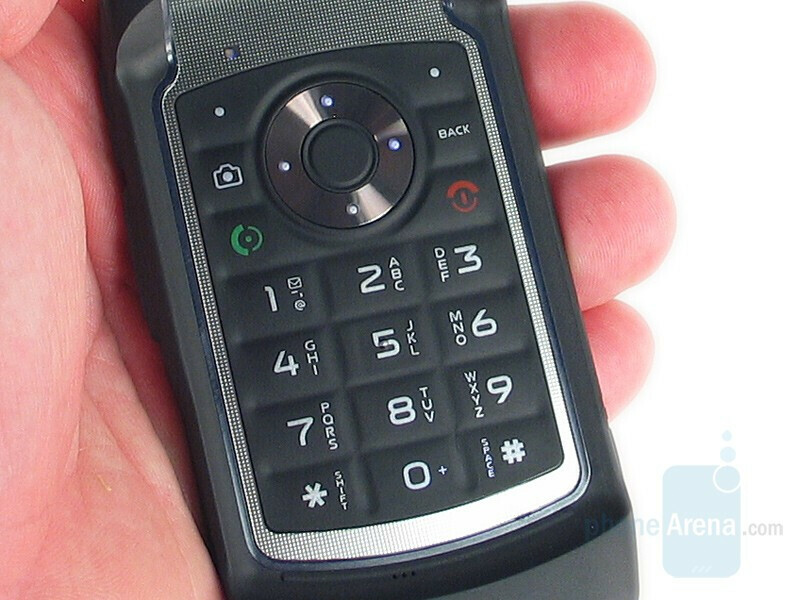 It, as well as the keypad below, is set in a silver plastic housing. It feels awfully cheap, but it’s also not something that the average user would be touching so we’ll give them a pass on that. The keypad itself is coated in the same soft touch rubber as most of the phone, with a silver metallic d-pad. They have a good feel with a solid click when pressed. 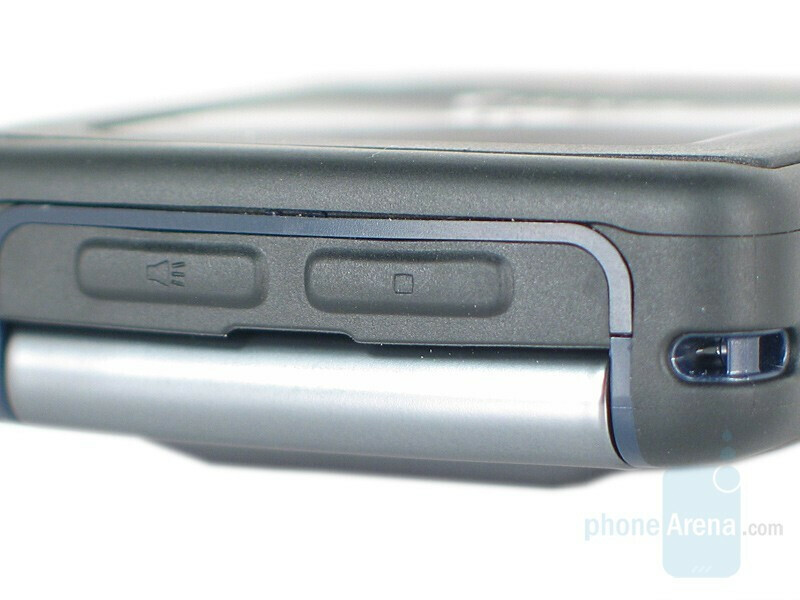 Beyond the traditional keys there is one for back and camera on either side of the d-pad. This rugged frame is water tight, and allows the Renegade to meet Mil Spec 810F specifications for dust, shock, vibration, temperature, pressure, sun, salt fog, humidity, blowing rain. They don’t go as far as to call it waterproof, however, so we didn’t put it through our fishbowl test. It’s one tough son of a gun though, and it passed our throw-it-out-of-a-second-story-window (into a light rain, nonetheless) and run-over-it-with-a-car tests just fine. 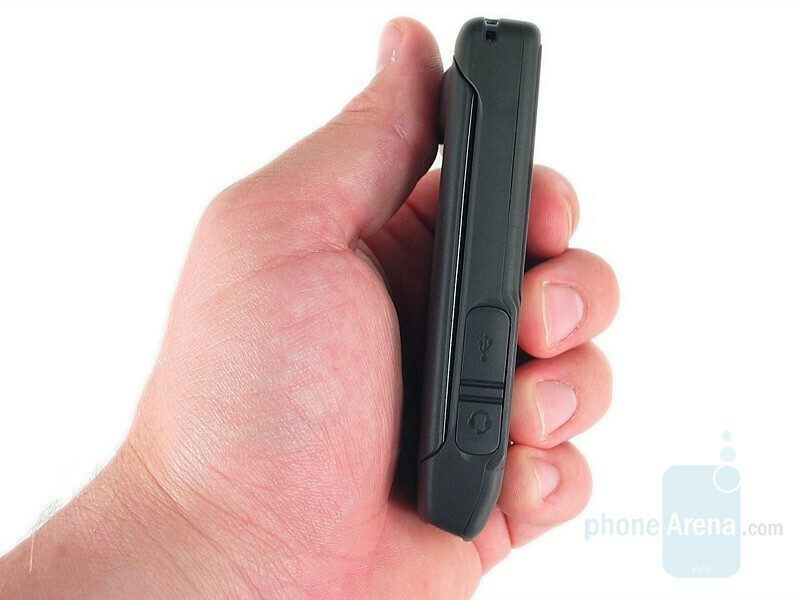 The Renegade has an unbelievably solid feel in your hand, as you might expect from such a rugged phone. Maybe it’s just the grippy rubbery coating, but it has perhaps the most reassuring feel we’ve encountered thus far, and is in a totally different class than phones like Verizon’s Adventure and Boulder. 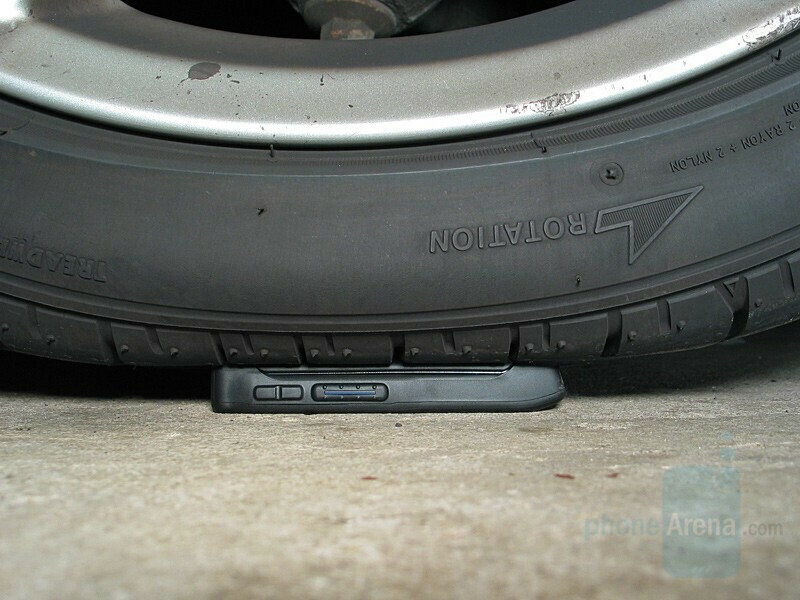 If your primary objective is to punish your phone, the Renegade should be at the top of your list. the battery life issue is an easy fix, but its going to cost you and make the phone a bit thicker. Motorola already makes an extended battery, the BK 10. All the consumer is waiting for is the extended battery door, which should be along soon. 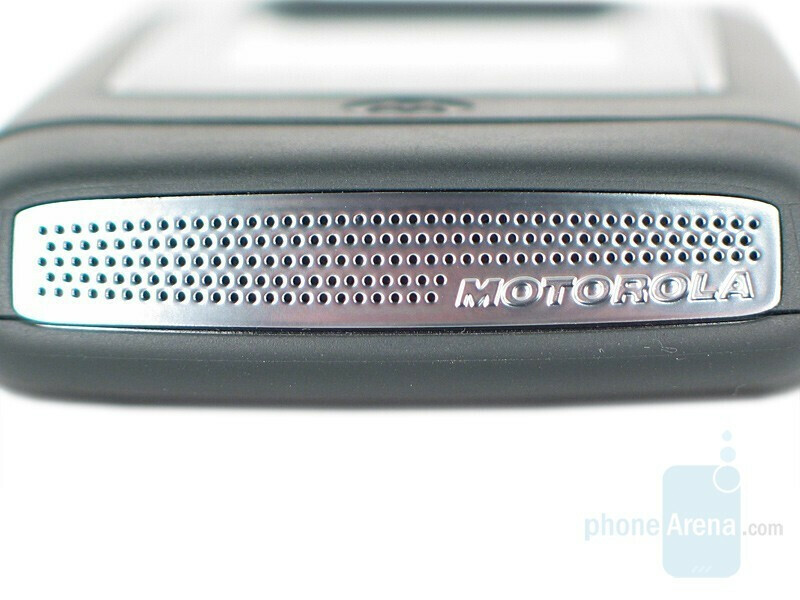 Why motorola doesnt just issue extended batteries I dont know. Motorola really should have done a better job with the battery specs, I will grant you that. 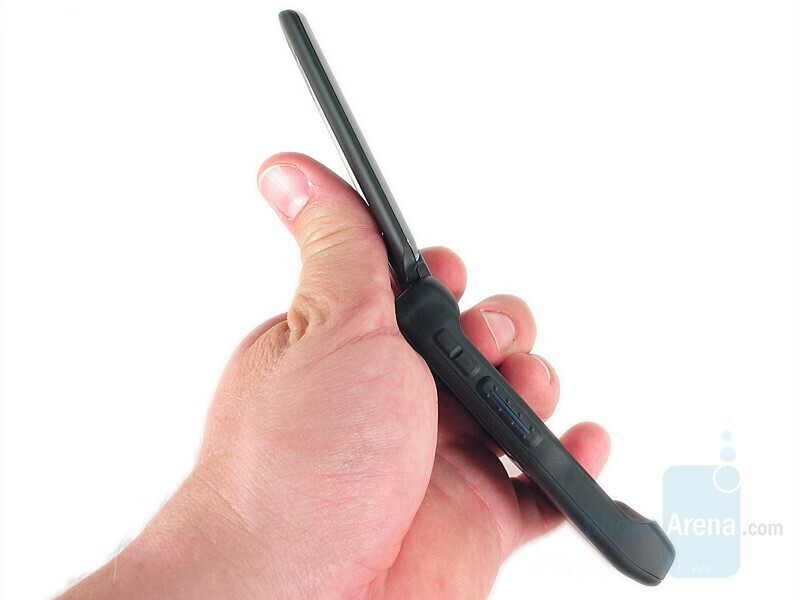 However, there is a way to improve the situation without getting the thicker battery. If you do not use PTT you should ask Sprint to turn that feature off (setting on your phone that requires the unlock code, so Sprint will need to do this). Once this is done, turn the phone off for 30 seconds. Then turn it back on. Your battery life will be DRAMATICALLY better. This change will deactivate PTT but will leave the data settings in place. Your battery will last considerably longer. Enjoy! That is great to know. Excuse my ignorance but does this change the signal reception at all for sprint? Cheers. No, this will NOT affect the signal characteristics at all.